Emil Pfeiffer would serve as the last pastor in Norka. He was born in Warsaw, Poland on April 26, 1891. He and his brother, Arthur Pfeiffer, decided to attend the Lutheran seminary in Leningrad. Men seeking to serve as pastors could no longer be educated at the Theological Department of the University of Dorpat (now Tartu in Estonia) because that country achieved independence from the Russian Empire in 1918-1919. Rev. Emil Pfeiffer. Source: "An Gottes Hand" by Edith Müthel. Following his ordination in June 1925, Emil. Pfeiffer was sent to the lower Volga region to first serve the colony of Mühlberg. In the fall of 1927, Rev. Pfeiffer was assigned to serve the colonies of Norka, Huck and Beideck. At the time, he could not have know that a great famine would strike the area in the early 1930's and that Stalin's Great Terror would envelop him. During his last years of service, the NKVD (Soviet Secret Police) kept Pastor Pfeiffer and a number of active believers under constant surveillance. The Presidium of the Central Executive Committee of the Autonomous Soviet Socialist Republic (ASSR) of the Volga Germans received a secret report from the Regional Commission for Religious Matters. The report stated that there were 3,954 "believers" in the ecclesiastical community, of whom 110 had been deprived of political rights for their beliefs. 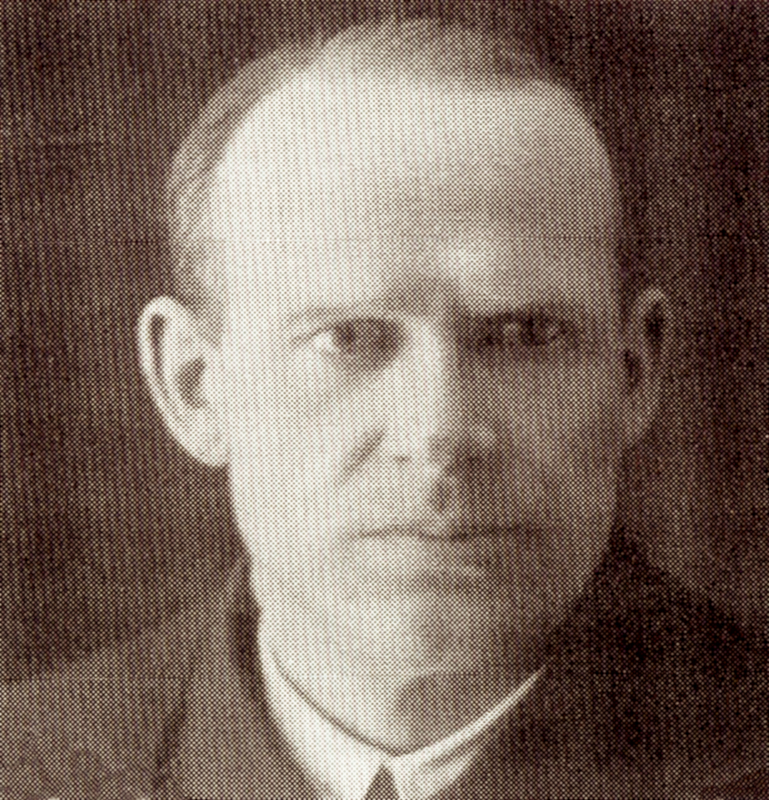 In the spring of 1932, Pastor Pfeiffer was arrested, moved to Saratov and permanently banned from practicing religion by the Soviet authorities. Despite this, Pastor Pfeiffer continued to clandestinely perform God's service in Norka from time to time. In 1934, Pastor Pfeiffer was arrested for anti-Soviet activity along with his brother Rev. Arthur Pfeiffer. Pastor Pfeiffer was sent into exile at Alma Ata (now Almaty, Kazakhstan) by a decision of the NKVD. Later, Pastor Pfeiffer was sentenced to death by shooting under the authority of the Supreme Military Court of the USSR (Article 58-1a of the Russian Soviet Federative Socialist Republic (RSFSR) Criminal Code) and was executed on July 31, 1939 in Moscow. Emil Pfeiffer was rehabilitated by the Russian government on September 5, 1991. As of April 2016, Pastor Pfeiffer's daughter, Edith Müthel, lived in St. Petersburg, Russia and was a member of St. Peter and St. Anne Evangelical Lutheran Church on Nevsky Prospect. She lived in Norka from 1927-1932. Her memoirs were written in 1994 and were published in Germany as part of an evangelical church calendar for 2001. ​"The village consists of ten lines of houses and five very long streets on which part of the houses are made from clay, brick or logs, covered with boards or iron sheets… the houses border an old cemetery. In spite of the fact that the village existed for more than one hundred years, this is still the first cemetery. The paths in the cemetery were well-groomed. It was planted with lilacs and roses, a white acacia, birches, aspens and elms - a botanical garden. There I could hide with a book and quietly read. In the village of Norka there were five schools, but teachers did not communicate directly with us, as it was forbidden to them. Father gave lessons to us." Amburger, Erik. Die Pastoren Der Evangelischen Kirchen Russlands Vom Ende Des 16. Jahrhunderts Bis 1937: Ein Biographisches Lexikon. Lüneburg: Inst. Nordostdt. Kulturwerk, 1998. 434. Print. Kahle, Wilhelm. Geschichte Der Evangelisch-lutherischen Gemeinden in Der Sovetunion 1917-1938. Leiden: E.J. Brill, 1974. Print. Schnurr, Joseph. Die Kirchen Und Das Religiöse Leben Der Rußlanddeutschen. Stuttgart: AER-Verl., 1978: 163. Print.